Students at the University of Toledo in Ohio now can create online identities that capture their educational experience, thanks to a campuswide e-portfolio rollout. The institution signed an enterprise agreement with online portfolio company Seelio, gaining access to data visualization tools, learning management and student information system integrations, a dedicated UT community on Seelio, as well as dedicated service support for portfolio implementation across all colleges. "The University of Toledo prepares students for successful careers with engaging classroom and experiential learning opportunities that can now be easily shared with potential employers," said Larry Burns, UT vice president for external affairs, in a statement. "The partnership with Seelio allows us to enhance the student experience and highlight the value of a UT degree." 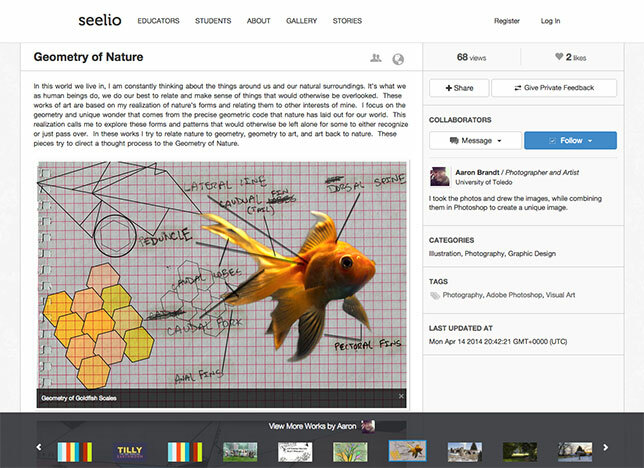 U Toledo students use Seelio to showcase their work. According to a press release, "Colleges across UT are working with Seelio's service team to identify ways to incorporate portfolios into the student experience." For example, Jesup Scott Honors College is building communities to share academic and co-curricular activities, and the College of Communication and the Arts is integrating the e-portfolios into its Project Based Learning Initiative. Other colleges are planning to incorporate e-portfolios into their co-op and advising programs, and individual faculty members are integrating the technology into their courses. "Our students are having amazingly rich experiences that are not easily captured in just a bullet point. With Seelio, they can showcase their work in creative ways and demonstrate their enhanced undergraduate experiences at UT," said Lakeesha Ransom, dean of the Jesup Scott Honors College. "Seelio has been a great asset to our students, and it helps them articulate their undergraduate experiences."